Mine, along with the MP BW Megatron, was supposed to arrive yesterday. View attachment 28243569 View attachment 28243570 View attachment 28243573 View attachment 28243572 View attachment 28243582 View attachment 28243576 Woohoo!! It just arrived today from AmazonJP!! OMFG. Where's that Mazinger-ish Star Scream mash up from? It's beautiful. Edit: The art inside is absolutely AWESOME. Imma gonna go down to my nearest Kinokuniya bookstore to order this baby, ASAP. Dangit I couldn't find this thread the other day. Got my copy on Friday and love the artwork. Glad someone else took some photos of it and uploaded them. I'm glad I forgot to cancel my order now. So, much, lovely artwork. Cannot wait to get my hands on these. This is shipping from Amazon Japan. Yeah, that God Fist thing is INSANE!!!!!! Im buying it regardless if I read Japanese or not. lol. 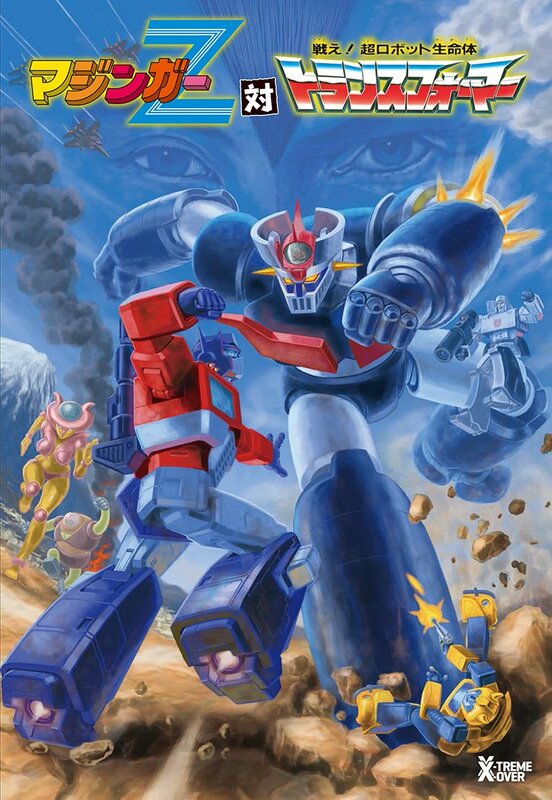 This Mazinger x Transformers Manga will be so action packed it will practically tell the story itself. Yessss!! Me too! Just placed my amazon order. eBay was asking $40-$90 I was like “Nope.” But for $27 shipped, yessir!! I can’t wait!! Damnit they need to complete that anime! Not Hasblow..err I meant Hasbro. Whoa dude that was sick! I don't know what the pun here is, though. I hope they will make MP44 Optimus with Mazinger\'s color scheme like MP Eva Prime. 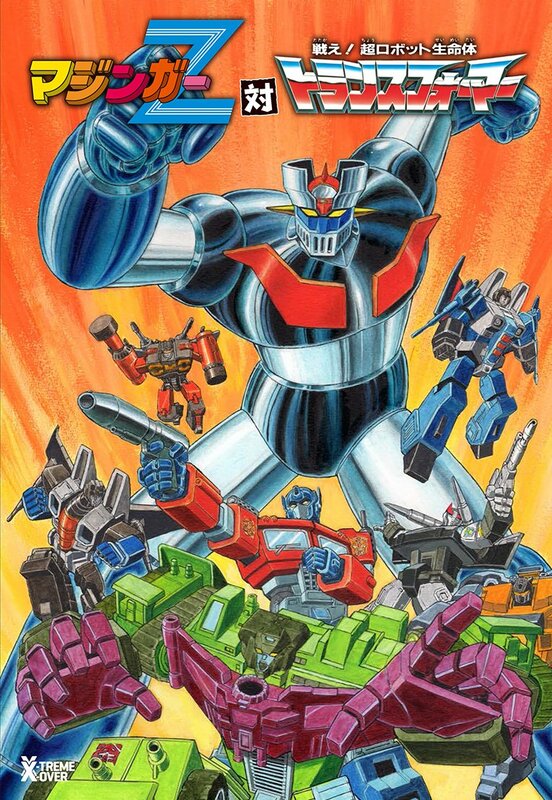 Man just seeing that cover I wish we could have Nagai sensei do an entire TF comic outside of crossovers. It goes without saying he's kind of the god father of all mecha but man does it show right here where he draws Convoy/Optimus and it feels like it's exactly the way it's meant to look. I hope Hasbro releases a Mazinger Z toy that Transforms. Mazinger is owned by Bandai. Not Hasblow..err I meant Hasbro. If anyrhing it would be Takaratomy teaming up with Go Nagai and Bandai Japan to make that. As much as I could give 2 $#%@ about BWs, It might bring me to read that crossover. I want a getter in there! Finally a Transformers crossover that actually makes sense.